Hodnotové preference regionálních elit a jejich postoje ke společenským otázkám | Sociologický ústav AV ČR, v.v.i. Patočková, Věra. 2005. „Hodnotové preference regionálních elit a jejich postoje ke společenským otázkám.“ Pp. 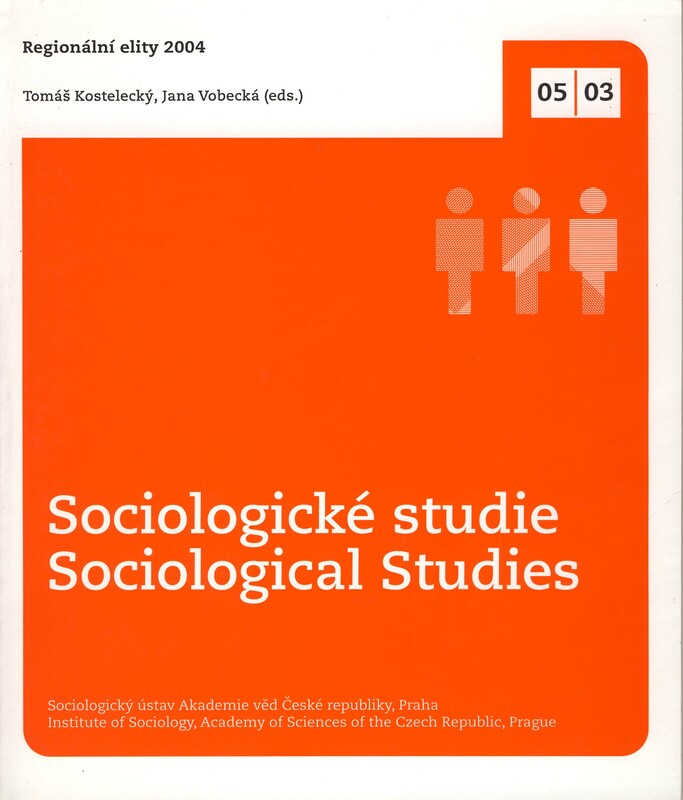 39-68 in Kostelecký Tomáš, Jana Vobecká (eds.). Regionální elity 2004. Sociologické studie / Sociological Studies 05:03. Praha: Sociologický ústav AV ČR. 152 s. ISBN 80-7330-074-5. The first part of this chapter is focused to a topic of value preferences. The Inglehart`s four-item battery for measurement of materialism and postmaterialism in the society was used. The second part of the chapter is centered on regional elites` attitudes. It is based on answers of respondents to wide battery of twenty questions, in which respondents were asked about their opinions of various topics of social issues. At first, the opinion of regional elites in general is presented. Then an attempt is made to find the factors, which regional elites divide by their opinions.